Qmetrix technology transforms these factors into a win situations for all participants of the service process – customers, employees and management. It is commonly known that the perceived waiting time tends to be much longer than the actual waiting time in queues. Give your customers actual waiting time information and they will be happy…its that simple! Staff are happy when customers are happy. On top of this, the Qmetrix counter components puts the agents back in control over the process. No more “yelling and jumping”. Management is happy when customers are happy and staff is happy. Additionally, Qmetrix data helps to forecast, plan and optimize resource allocation, and 24×7 data helps to report “…good things”. The holy grail of good planning has just come in reach. 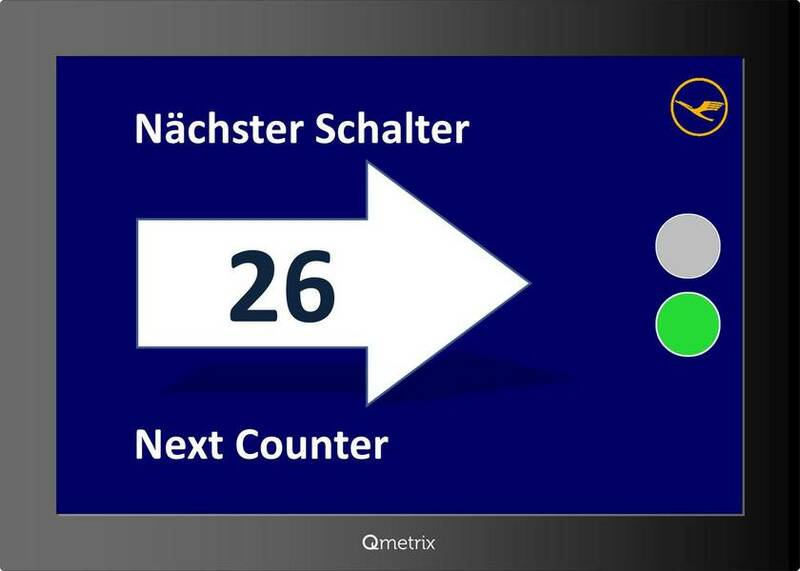 Counting customers in waiting queues, service areas or other facilities is easy with Qmetrix. The sensors can be operated wirelessly which reduces installation effort. 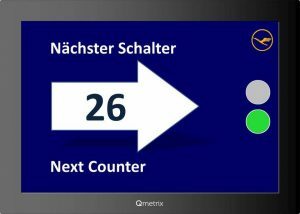 Qmetrix sensors allow high quality counting of passengers. Since the counting is connected with time, we generate highly sophisticated time depended analyses such as arrival profiles or throughput rates. Under typical circumstances we meet an accuracy of more than 95%. The generated data is the source for your future personnel planning process. 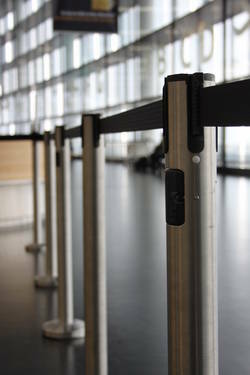 For waiting queues the sensors are seamlessly integrated into Lavi/Via Guide Beltrac posts. Other mounting positions are on walls, built-in or overhead. Download the Customer Counting Workbook! In airports often different system partners are involved in the service process, such as airlines, handling agents or airport operators. For service level agreements it might be helpful to have a system that guarantees a 24/7 objective waiting time measurement. 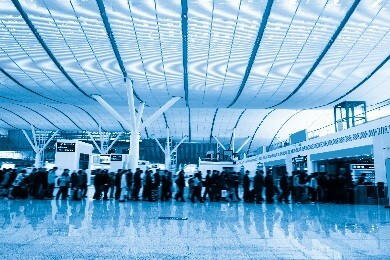 Qmetrix Wireless Queue Sensors make it possible that you measure passenger figures permanently or temporarily in queues or passenger walkways. in waiting queues it is also possible to measure waiting times. When several waiting queues are serviced a proactive signage makes it possible to guide passengers to queues with less waiting times. Download the Waiting Time Measurement Workbook! Reducing idle times between two transactions is a big chance to improve productivity. Thinking of process times of less than one minute with an idle time of 30 seconds in between shows the improvement that can be achieved. Qmetrix NXT helps you in doing so. With centralized monitors and/or signal lights at each counter the availability is even indicated before the last customer has gone. The idle time approximates to zero. Apart from the cost-saving factors customers see this feature as a matter of service quality. And employees get the control of the process back. No yelling and shouting to get “their” next customer. With our advanced solution we can deliver a highly efficient, fully automated and fair passenger dispatching system . On top of this, the fast lane needed to be prioritised in a way that the waiting time is always kept under a defined threshold – more waiting priority passengers are automatically getting more screening lanes allocated. The information resulting from a 24/7 measurement of your service processes can be enriched by asking the persons who are affected by the process – your customers. 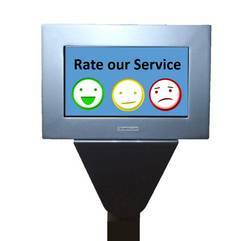 With touch screens which can easily be mounted on stanchions in the waiting queue or on walls, mini surveys can be provided to the customers. All surveys can be analysed in real-time including email or SMS alarming when certain thresholds are exceeded. 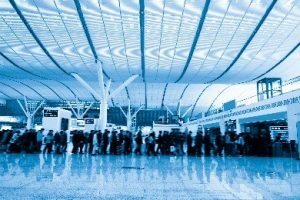 The calculation of passenger arrival is normally based on many uncertain presumptions. 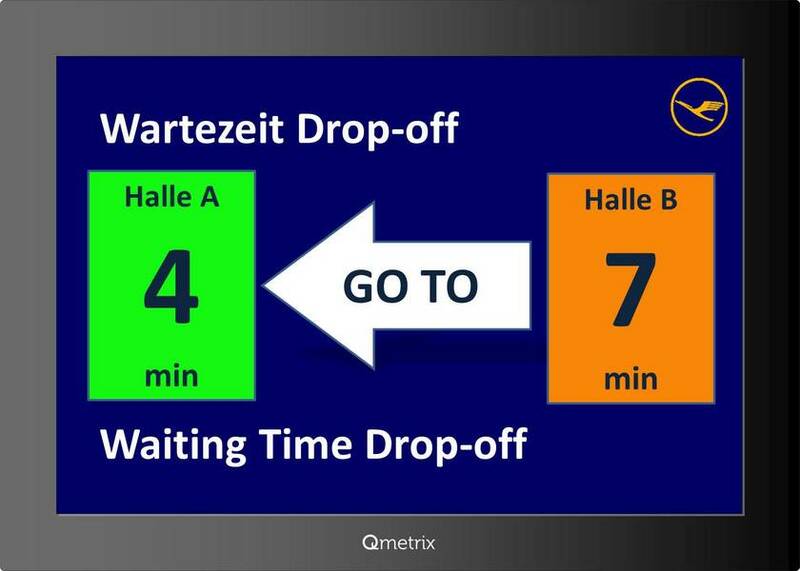 With Qmetrix a scientific forecast of passenger arrival is possible! Passenger arrival in service areas is normally typical for weekdays, months, seasons and holidays. 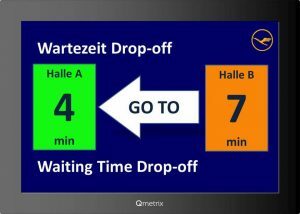 Qmetrix Actual Based Plannning analyses past passenger arrivals according the calendars and predicts the arrival in the future. Ex-post analysises show that the forecast error was around 15% in five minute intervals, while classical bottom-up planning (flight schedule based) hab errors with up to 30%. The forecast is based on a scientific forecasting method with a multi-level regression analysis. This concept has often been proven in XIMES consulting projects and is very common in call centre and other service business. Download the Actual Based Planning Workbook! Washrooms, lounges, waiting rooms – Airports, Shopping Malls and other public building operators are going great lenght to keep facilities well maintained, cleaned and tidy. Usually this is done on a cycle – e.g. every hour – no matter if cleaning is required or not. Qmetrix QCC is a solution for optmizing all of this – a simple, easy-to-install unit connected to a server, delivering real-time mood feedback that shows the performance of service providers and provides closed-loop maintenance managment. 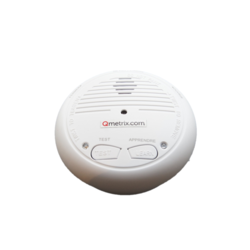 The Qmetrix QCC ceiling sensor measures the number of persons using a washroom or other facility (Lounge, smoking Lounge, Lost & Found area, etc. The applications are endless. With set thresholds for each facility, Qmetrix detects a demand for service (typically cleaning) and is the core tool for optimization. Installation is quick and easy – only power is required. The built-in modem can take any SIM card to allow rapid deployment and cost efficient operation of the sensor. The system can be operated stand-alone by using the Qmetrix cloud service or on-premise server. Data presentation in real-time and extensive reporting as well as optimisation is available. Because these sensors use infrared technology for counting, violation of privacy is not an issue.